This is a cabin rental in the paradise of waters. The cabin is surrounded by lakes, rivers, creeks, and waterfalls. Some of these in the Ottawa National Forest areas. You are not just going to one lake, you are going to a water destination area. **The area around the cabin years ago was called Stickley (see the pages of old time pictures and history of Stickley on his website). The cabin is between Watersmeet, MI and Marenisco, MI (west of Watersmeet) in the historic Stickley area. A logging & lumberjack, gangster, mining (iron & copper), railroad history area with many historic stories. And, the cabin as named Stickley Lodge Getaway is based on logs-sticks-historic name Stickley-fun for family, friends or groups. Some people refer to the cabin as Stickley Beaver Lodge or Stickley Lodge. Cabin could sleep approx. 16 (or just have more room for gear and to relax). *Five Sleeping Areas: Bedroom 1: Queen log bed, chair, nightstand, lamp, alarm clock, fan; closet, small table; computer working cabinet with doors; glow in the dark stars; branch decor light fixture; blinds and curtains; electric fireplace unit; Bedroom 2: Queen log bed, chair, nightstand, lamp, alarm clock, fan; branch decor light fixture; electric fireplace unit; curtains; bark wall decor; door to outside; Bedroom 3: two sets of full size bunkbeds (with log branch bedframes), chair, table, lamp, alarm clock, fan, closet; electric fireplace unit; trees painted on walls; blind and curtain; branch decor light fixture; Basement Sleeping Area 4: sleeper sofa, lamp, table, fan, bench and also a folddown cot and set of twin size bunkbeds (with log branch bedframes); fourton, windows with blinds and leaf design valances; door to outside; electric fireplace unit; Livingroom Sleeping Area 5: three sofas, items in livingroom such as fan, table, etc. MATTRESSES AND PILLOWS AND SHOWER CURTAIN(S): Mattresses in cabin have mattress covers to protect between guests, pets, dustmites, etc. Pillows have protective covers also and are sterilized every so often. Mattresses are sprayed every so often also. Furniture is steam cleaned and sprayed every so often. Shower curtains are changed. BLACKTOP ROADS: Cabin is off of black top roads(not gravel). East to find off highway. FOOD, DRINKS IN AREA: Still have privacy and woods and also could walk to Rogers Bar (smaller country bar, down Old Hwy. 2 from cabin, cabin on acreage and not affiliated with Rogers Bar) for famous stuffed pretzels, other specials on sandwiches, taco Tuesday night, bucket nights (Friday), pizza, ice, games, chips, drinks (relax and not have to drive), quiet type country bar. Sit and have WIFI and enjoy time sharing stories of fishing, snowmobiling, hunting, and more. Take the snowmobile or all terrain vehicle right out the driveway of the cabin to the trail and to Nordines Food Store for famous salsa or to the Cafe in town for breakfast to start your day out. Or, try boating or snowmobiling to Bent's Camp on chain (as featured on Discover Wisconsin) for homemade pizza-foodor ATV-Snowmobile to many other locations. Chars Café in Bruce Crossing, MI (north of cabin) is a good place to stop for misc. menu items for breakfast, lunch, etc. or to stop on your sled, etc. And, there are some other restaurants in Bruce Crossing. Northwest of the cabin closer to Bergland is a barbecue place. Supperclubs in Land O Lakes and Marenisco around the lake. Restaurant guides in cabin. Stops for your sleds and all terrain vehicles or just siteseeing stops. Ice cream place by Paulding (north of Watersmeet). Trail to trail food to many restaurants and fun destinations. A good place to get area status information for snowmobiling and other area activities is Rogers bar down road from cabin (smaller country type bar). Cabin is on acreage, wooded area, circle driveway and with privacy trees, National Forest behind cabin rental, etc. Rogers Bar (cabin not affiliated with Rogers Bar) also has maps and stickers. MANY ACTIVITIES TO DO IN EVERY DIRECTION OF CABIN: Sylvania Wilderness Natural Area (beach, pavillion, hiking trails, wildlife, canoeing, etc. ), Lake Gogebic (largest lake in Michigan), Ottawa National Forest, Bond Falls, Kakabika Falls (close to cabin), Yondota Falls (just west of cabin closer to Marenisco), many other waterfalls, Porcupine Mountains (with Visitor Center also), Lake Superior, Mystery-Paulding Light, mining (even some where you can try some mining yourself or for the children), Ontonagon River areas, ski hills and ski trails, historic & haunted sites, historic old villages, museums (Land O Lakes, Ontonagon, Wakefield, etc. ), Watersmeet Fish Hatchery, ice skating rink in Land O Lakes, beaches at different sites (info. in cabin), shops in Land O Lakes, casino, ORV (ATV) trails, bike trails, siteseeing (mountains, rivers, wildlife, etc. ), snowmobile trails, Watersmeet Visitor Center, old railroad history (Watersmeet use to have a circular train station, etc., book has been written on it), National Copper Boulder site (where copper boulder came from for the National Museum in approx. 1840), sled dog races, and more. LAKES, LAKES AND MORE LAKES: Some people like to fish the chain, then fish some National Forest lakes and then Lake Gogebic. Great week of a variety of fishing. If one area is not biting then try the next. You won't be stuck at one lake or paying lake cabin prices. Save your money for fun in the area to do many adventures, enjoy some great food, shopping, etc. Stories also of Stage Coach Road having one of the last stage coach robbery with Black Bart. Snowmobile, canoe, fish, ORV two counties in one vacation. FISHING TOURNAMENTS, ATV RUNS, ETC: Area has ATV ORV runs, partridge (grouse) hunts, ice fishing derbies (Rogers Bar, Dutch's Bar, Lake Gogebic Walleye tournament and others). WIFI: WIFI available at Rogers Bar, library in Land O Lakes, cafe in Watersmeet in Nordines Plaza, etc. Rogers Bar you could also have a munch or treat of something while working or using the WIFI (just down the road from the cabin, a more kind of quiet country bar with tables, stools; ice; maps; pizza; stuffed pretzels; sandwiches; and more). BIKING AND HIKING TRAILS: The new bike trail includes all of Thousand Island Lake Road from the Watersmeet side to the Land O' Lakes side and connects with the many, many miles of trail. See the Fall website for the cabin for more hiking trails and bike trails information. SKIING: Cross country ski trails just east of cabin by Sylvania by town of Watersmeet, by Sylvania Wilderness. Ski rentals also available. Warming area and more. Some other cross country ski trails listed on the Winter website (listed on this page). Downhill skiing to the west and east of the cabin, great day trip. See the Winter website on the cabin for more information on ski trails. RENTAL EQUIPMENT IN AREA: Snowmobiles-All Terrain Vehicles-paddleboards-fishing boats-pontoon boats-canoes-kayaks-bikes-snowshoes, cross country skiis, etc. Snowmobile-fourwheeler, etc. dealership in Watersmeet for parts, mechanic, clothes. Some other dealers south of Watersmeet and just northwest of Watersmeet. See other cabin websites for listings of dealers such as the Winter website for the cabin. 2 COUNTIES: The cabin is just north of the Wisconsin Border Area. It is in Gogebic County, MI (Watersmeet Township, west of the town of Watersmeet approx. 1 1 miles and east of the town of Marenisco approx. 11 1 miles) and just north or northwest of the cabin is Ontonagon County. Just north of Beatons Lake approx. is the county line. The counties have had sightings of moose, elk, wolves, coyotes, turkeys, eagles, variety of other birds and wildlife. There is a restaurant in the White Pine area that feeds the black bears. Bringing a camera is a good idea to record the beauty of the area along with the experience of seeing the many birds, fantastic loons, and eagles soaring as well as all the wildlife animals in their natural setting. Come enjoy the area, make your own adventures, relax your spirit, heal your heart, calm the mind and find peace in the nature and moments of the wisdom of the divine earth's beauty. Enjoy two counties during your stay. The Central time zone changes just north of the cabin. Some enjoy New Years Eve within two time zones (and celebrate twice if you want). Stories also of Stage Coach Road having one of the last stage coach robbery with Black Bart by Lake Gogebic. Snowmobile, canoe, fish, ORV two counties in one vacation. REASONABLE RATES: Reasonable (on trail for snowmobiling and all terrain vehicles, gameroom, privacy, rooms, other items listed, compared to other cabin rentals, sleeping 16 approx. or just have room to put gear and have space to relax, convenient location to do many adventures in every direction, wooded acreage, circle driveway, and more). Rental rate $159 base rate; (based on 10 guests; sleeps 16 approx.). Only $5. per guest per night over 10 guests. 3 night minimum; unless agreed upon during slower times for 2 nights; no security deposit or nonrefundable security deposit charged to book reservation; $29 pet fee (one fee, stay covers all pets within reason); cleaning, garbage and initial supply fee of $99 (one fee, stay); 1/2 down (of total) holds your dates and reservation with completed cabin reservation form; other 1/2 due two weeks before your stay (unless other arrangements). (920) 680-7095 or (920) 530-6401. Call (leave message) or text. OTHER WEBSITES ON CABIN: (with helpful hints for safety, groups, gas stations, trail markers, hunting, ATVing, canoeing, boat rentals, lakes, rivers, etc.). If links do not work, please print out the page to use and type in addresses or copy and paste addresses into search engine information. ​Winter activities (snowmobiling, ice fishing, cross country skiing, snowshoeing, siteseeing, etc.) helpful tips, Winter pictures, helpful hints on emergency and gas station information, trail information (trail markers) and much more (please make us aware if information changes). ATVing (or ORVing, fourwheeling, UTVing), MI-TRALE information, Poker and ATV ORV Runs, etc. Some of the waterfalls are not far from the cabin and right off the river system(s) by the cabin. Such as down the road from the cabin is one of the branches of the Ontonagon. And, Kakabika Falls is off this branch. Main Cabin Website: www.stickleylodgegetaway.weebly.com. You are on the Trout Fishing website currently. Cisco Chain is 15 lakes. There are also many other lakes in area including National Forest lakes, Lake Gogebic. Many other lakes listed on another page of this website and more. Serene areas to enjoy which are not overly populated. Rest the soul and mind and relax. 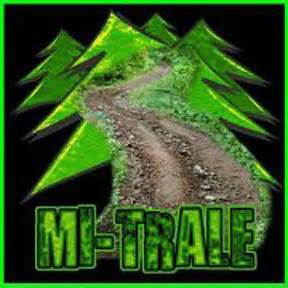 www.mi-trale.org for trails to take an Orv (Atv, fourwheeler) down the trails. Some trails to go down to find your fishing spot possibly. Cabin rental is right on the trail system. Trails go through historic areas, mountains, by rivers, by waterfalls, bridges over waterfalls, more. Rivers in area part of the Wild and Scenic Rivers System. Including the Ontonagon River (one of the branches just down from the cabin) and other river systems in area. Beautiful area to enjoy a beautiful trip of scenic delights.